Ryan Shanley prefers to be called Shan. It's not much, but it helps put some distance between his life during and after serving in the Union army. And he'll put even more distance between the two once he arrives in the Wyoming Territory, where he has a land grant for two square miles. On the stage to Tico, the town nearest his ranch, he meets Sarahlee Gordon. 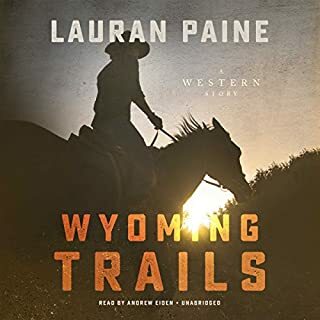 She was only planning to visit Wyoming long enough to sell the cabin she inherited from her uncle. But the attraction between the two becomes obvious on the stage and grows after they arrive. I’m so glad I stumbled across this book! The imagery and description are amazing!! Better than anything I’ve read in a long time! And the narrator is my new favorite! His voice is like honey. He did such a great job! Loved the story. Light, but not too predictable. Well written and well read. I loved the characters and didn't want the story to end. Well done and exactly what I wanted. Miss Juliet Marshville is spitting mad. With one guardian missing, and the other singularly uninterested in her fate, she is at the mercy of her wastrel brother who loses her beloved childhood home to a man known as Sin. 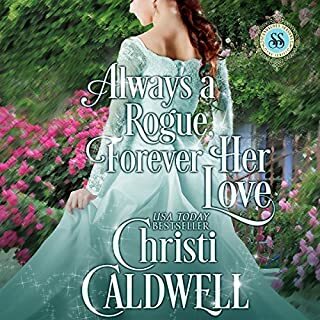 Determined to reclaim control of Rosecliff Cottage and her own fate, Juliet arranges a meeting with the notorious rogue and demands the return of her property. Well-written. I loved the characters. Good character development and nice, if predictable, story line. 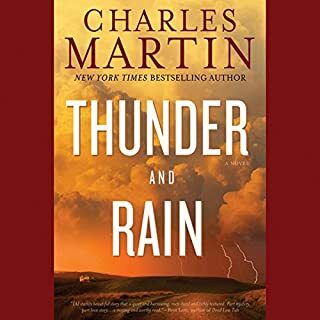 I enjoyed listening to this story and I like this narrator as well; he does a nice job with all the voices. I will listen to more from this author. Jack would rather be at sea than fixing the mistakes of his grandfather, the late Earl of Stansworth. Instead, he finds that inheriting his grandfather's wealth and title and securing the welfare of his sister and mother means joining the ranks of high society and living with the aristocracy. Luckily, Ivy Carslisle, the granddaughter of a dear friend of Jack's late grandmother, is willing to teach him etiquette and properly introduce him into society. I have to admit, I did not have high hopes for this book. I was very wrong; I absolutely loved it! Such a sweet story! I loved the characters and they had good development throughout the story. If I could give the narrator more than four stars, I would. She did an excellent job with all the voices. She is by far the best female narrator I've heard. Ewan McCabe, the eldest, is a warrior determined to vanquish his enemy. Now, with the time ripe for battle, his men are ready and Ewan is poised to take back what is his-until a blue-eyed, raven-haired temptress is thrust upon him. Mairin may be the salvation of Ewan's clan, but for a man who dreams only of revenge, matters of the heart are strange territory to conquer. Love, love, love this book. I loved the characters, who were very well developed. Lots of plot twists, but so easy to follow. I had a hard time putting this down. I listen to audible books while on the treadmill and I found myself going longer so I could keep listening. Very sigh-worthy. I'm looking forward to hearing the next book in the series. The narrator was the best I've heard. I hope the next one does as good of a job. Professional Bull Rider Cliff Masterson has been chasing his dreams for years - or has he been running from his past? He’s searching for more in life and ready to dig in his spurs and put down roots deep in the heart of Texas. 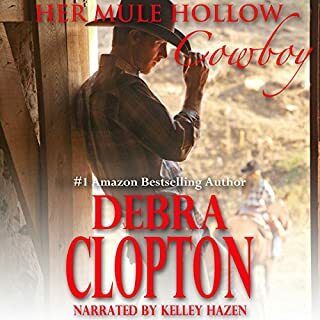 Rescuing a beautiful cowgirl from being trampled by a bull has him dreaming of romance, home, and hearth. But Maddie’s had enough people in her life leave and she’s not willing to risk her heart on him. I liked the character development of Maddie, but found it very lacking with Cliff's character. The story itself was way too short and under-developed. The narrator's voice drove me crazy and I hated how I kept picturing the characters, just a version of someone's grandmother. I would not recommend this book, but I will likely try this author one more time. 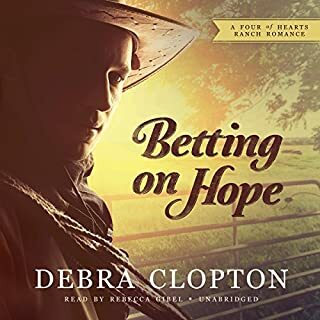 Advice columnist Maggie Hope never dreamed she'd be shaking hands with champion horse trainer Tru Monahan over a high-stakes bet, especially one that involves horses. And saddles. And everything else a city girl like Maggie feels uncomfortable around. But after filling in for a coworker and interviewing the handsome cowboy, she finds herself doing just that. Anything to save her advice column. I loved the story and the characters were well developed. The narrator did a wonderful job with all the voices. Marianne Daventry will do anything to escape the boredom of Bath and the amorous attentions of an unwanted suitor. 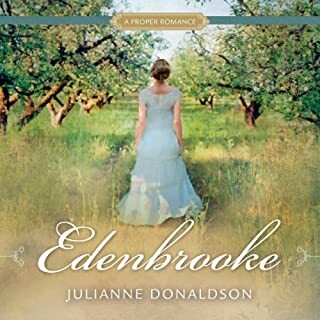 So when an invitation arrives from her twin sister, Cecily, to join her at a sprawling country estate, she jumps at the chance. 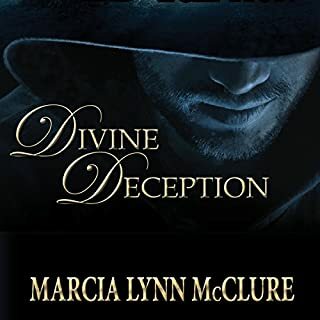 From a terrifying run-in with a highwayman to a seemingly harmless flirtation, Marianne finds herself embroiled in an unexpected adventure filled with enough romance and intrigue to keep her mind racing. Love this book! I loved the story and the narrator did a great job. I could clearly picture each character. Well done. Mistreated, disheartened, and trapped, Fallon Ashby unexpectedly found the chance of swift deliverance at the hand of a wealthy landowner. The mysterious deliverer offered Fallon escape from unendurable circumstances. 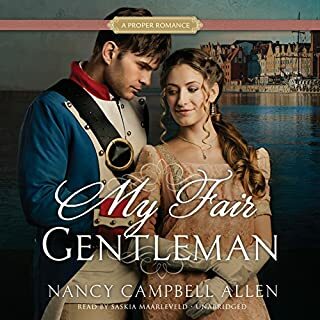 Thus, Fallon chose to marry Trader Donavon, a man who concealed his face within the dark shadows of an ominous black hood - a man who unknowingly held her heart captive. This is a great story. Well written, good character development. What I did not like was the voice of the narrator. I would have stopped listening if it hadn't come so highly recommended. The woman doing the man's voice was creepy and it made me have a hard time picturing him. I wasn't thrilled with the woman doing the woman's voice either, but I could at least stand it. Loved the story, though. 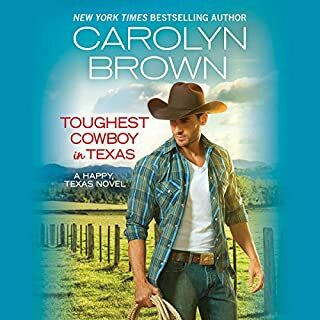 Third generation Texas Ranger Tyler Steele is the last of a dying breed - a modern-day cowboy hero living in a world that doesn't quite understand his powerful sense of right and wrong and instinct to defend those who can't defend themselves. Samantha and her daughter, Hope, are on the run from a seemingly inescapable situation. They are in danger, desperate, and alone. Though they are strangers, Ty knows he can help - protecting the innocent is what he does best. I adore this book! Love, love, love it. For the first time in my life, I am listening to a story twice. I could listen several more times. Please write more like this. The man who did the man's voice is my #1 favorite. Such a great job.